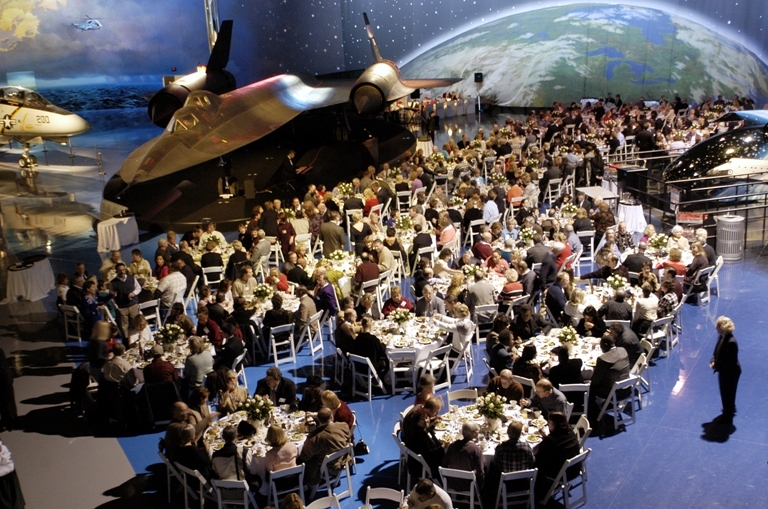 Whether you envision a multi-course meal with fine linens or an easy-going atmosphere where everyone can hang loose, the Air Zoo is the perfect place for your next private or corporate event. We offer a unique setting and professional services for events of all sizes. One of the most unique meeting places you will ever find. 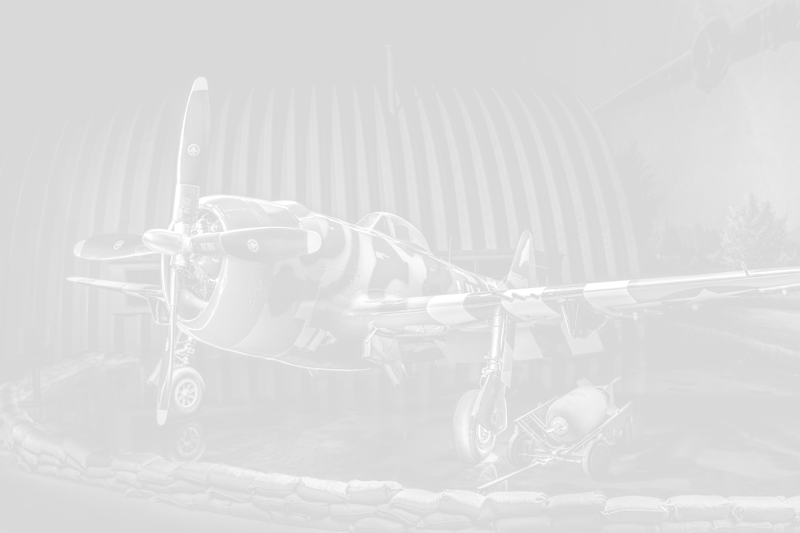 Welcome your guests with breathtaking view of the Air Zoo main exhibit floor and rides. From receptions to catered dinners, the Mezzanine will accommodate up to 100 people and is sure to create a memorable experience for all. Take that event to the next level - like no place else on earth! This space can be as elegant or as exciting as you like. 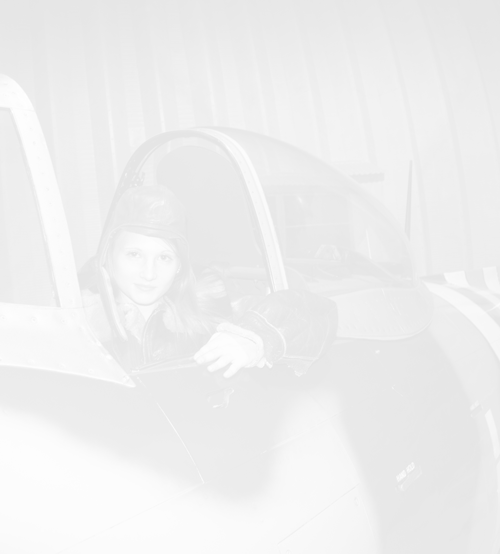 Attendees will have an opportunity to show off their flying skills with our full-motion flight simulators, enjoy indoor amusement park rides and walk among the giants of flight and space exploration, with multiple options to fit your unique event! You can fit up to 600 guests for a sit down dinner setting and up to 1,500 people without formal dining. Looking for the area’s coolest place to present to your group of 60 or less? We have it for you. Check out our newly remodeled Missions Theater. It boasts a…. getting details from Derek. No boring white walls and stuffy rooms here! 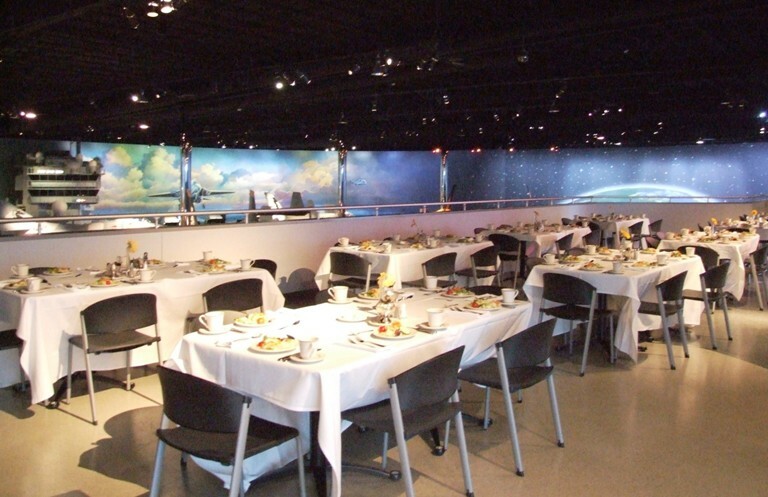 A wall full of windows overlooking the Air Zoo grounds offers a bright, inviting atmosphere for your attendees. Monitors, internet and projection devices are available for meeting use. 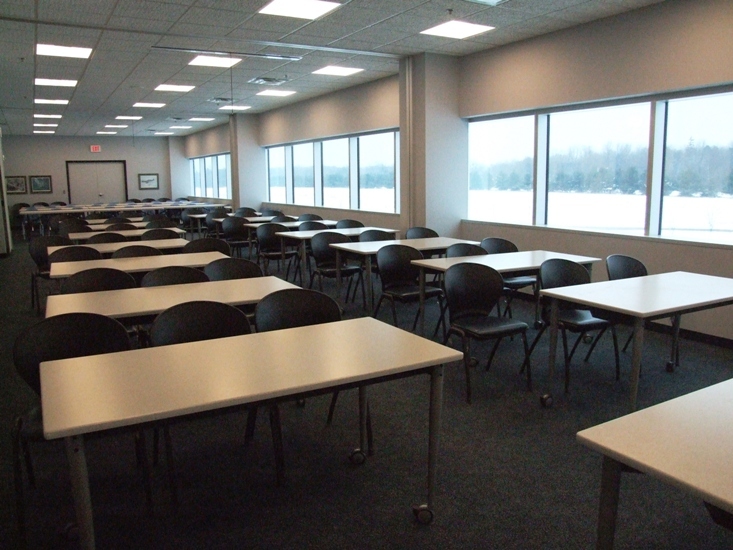 These rooms can be reserved individually for up to 32 people or combined for up to 125 people. 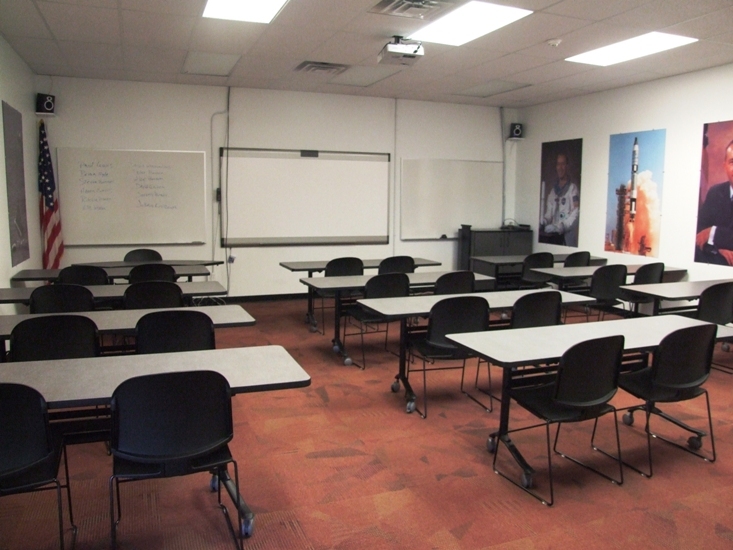 Need a professional space with whiteboard and Ethernet access for your distinguished group? 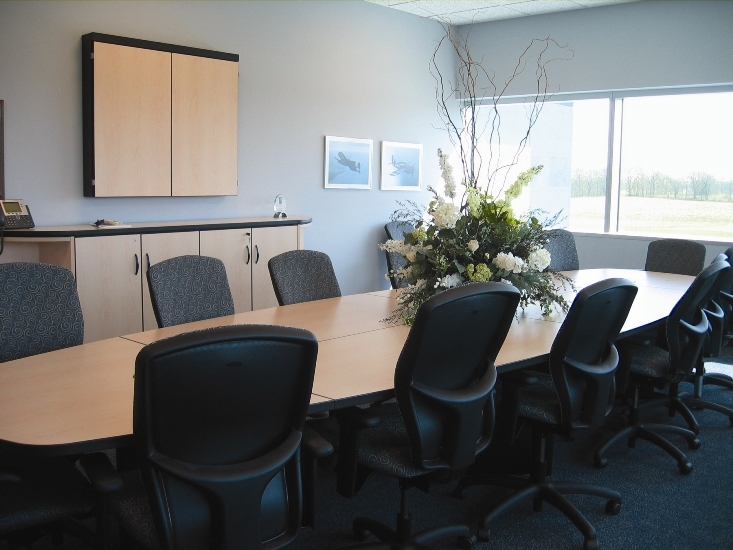 Check out our Preston S. Parish Boardroom. It boasts comfortable chairs, generous work space and inviting atmosphere, handsomely lit by walls of windows overlooking a peaceful setting of fields, trees and wildlife. It's the perfect place for your meetings of 16 or less.